The Appellate Court decision said the government failed in its constitutional duty to “engage in a considered, meaningful two-way dialogue” with First Nations affected by the project. “We tell the prime minister to start listening and put an end to this type of relationship. 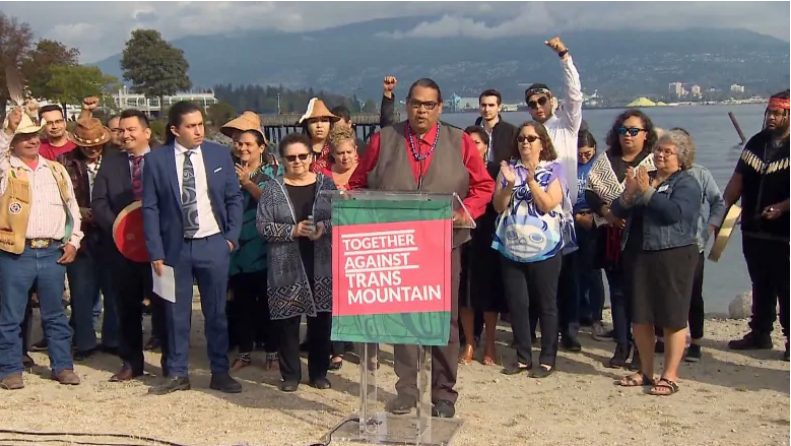 It is time for Prime Minister Trudeau to do the right thing,” said Khelsilem, a councillor and spokesperson for the Squamish Nation. Grand Chief Stewart Phillip of the Union of British Columbia Indian Chiefs (UBCIC), called on the federal government to shut down the expansion project rather than try to resurrect the failed consultant process. He said he was not expecting a court ruling in favour of the First Nations. But not all First Nations are opposed to the expansion. Along the existing pipeline – from the Alberta oil sands to the tanker terminal on the west coast of BC – are many who still hope to see the expansion move forward eventually. The cancellation is based on two findings: NEB’s failure to ctonsider the project’s impact on the marine environment to include the impact of increased tanker traffic on the endangered population of southern resident killer whales, and, secondly, a failure in the last stage of the consultation process with First Nations – Phase 111.